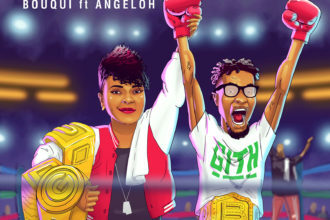 Multiple awards winning Gospel Hip Hop star and Xist Music Africa President B.O.U.Q.U.I has finally unveiled the track lists and art cover to her record breaking double CD album themed Marks Of A General and Eve Of Independence. BOUQUI and its management of Xist Music Africa and Bouqui’s Place Entertainment ahead of its September 4th 2013 album release date have published to the public the contents and arts of the much anticipated double CD Gospel album. The album which brag 28 tracks in all with the ratio of 14 tracks each on Marks Of A General and Eve Of Independence respectively boast of productions from top beat makers including Samklef, Gospel, Jmetz, Kollo, Mix Master J and VC Perez amongst others. The album also constitute guest appearance from top Gospel stars from across the world including American Superstar DA T.R.U.T.H, Midnite Crew, Obiwon, Abel Musuka from Zambia, FaithChild from UK, the Mobo award winning UK star “Jahaziel” Panam Passy Paul, Segun Obey, Henry Soul, CBlaise, CJAY from South Africa and not forgetting a surprise appearance by the anointed man of GOD “Rev Sam Adeyemi” and many more.